I am such a fiend when it comes to concealer. I seem to be collecting them like they are going out of fashion. I own that many now that I am having to bin them because they are close to their use by day and they are nowhere near empty. But, this blog post is all about my must have concealers. The three that I couldn’t live without. These three concealers are the ones that I am constantly reaching for and I have rebought because I have used them all up. I first tried this concealer years ago, and when I say that I mean it. I think I got my first tub of this when I was around 14 because I thought the darkness under my eyes was ridiculous, I would have cried back then if I saw my under eyes now as a 22 year old! Anyway, this product is great. It is a really thick consistency but nice and creamy. I tend to take my spatula and dispense some of this onto the back of my hand. Then I will use my ring finger to warm the product up, then I will dab it under my eyes where my darkness is the most. Then using a MAC 217 I will lightly blend it out, making sure that I don’t drag the skin around. When I do this, everything is completely covered. This concealer is so full coverage that when a decent amount is applied, you will not be able to see anything through it. It can feel pretty cakey and thick, but that is why I like to use light layers and build it up until it reaches the coverage level that I want. Everybody has been raving about this concealer for the longest time and I was adamant that it would have been an overexertion, oh how wrong was I. This stuff is amazing. When I pull the wand out once there is enough product to highlight and conceal my whole face without having to re-dip. That is because this concealer has such a high pigmentation level. The littlest bit goes a really long way which makes it really nice and full coverage. I blend this out using my damp Beauty Blender and it just makes the whole area look super airbrushed and smooth. This stuff has been around for years and I honestly cannot see it going away. I am probably on my 4th or 5th tube of this by now. I am in the shade Custard and this for my skin tone is just perfect for concealing the area underneath my eyes. The colour is nice and light without been too much and too harsh. As it says in the name it is creamy which makes it incredible for blending out. If I am using it to correct the darkness under my eyes I will dab small amounts on and then blend it out using the MAC 217 which I mentioned before, then it looks really nice and flawless. If I am using it to highlight I will apply it on a downwards triangle under my eyes and then use my Beauty Blender to push it into the skin. This stuff literally takes a second to get flawless into the skin because of how nice and creamy the product is. So there you have my top three concealers and why I love them so much. I hope that you liked this post and I plan on doing more like this across all genres of makeup products. Be sure to leave me any comments below or just drop me an email and I will get straight back to you! 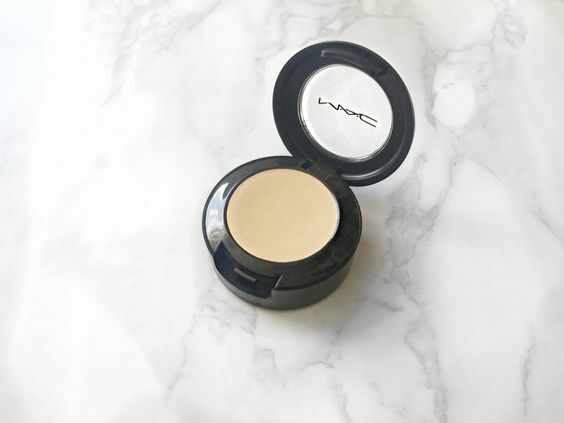 I love the MAC concealer, i've literally had mine for years! Im desperate to try the Nars creamy concealer but the price tag outs me off. It is amazing isn't it. So many new and really good concealers are coming out but this is my old school favourite! I always have to make sure that I have them in my drawer! I feel like it is just one of them concealers that you have to have. I always pull it out of the bag when I have a lot to try and cover! I've still not tried any of these concealers but I really like the sound of the MAC one, going to look out for that! The MAC is so good for them days when you need a little extra coverage! I love the UD concealer, soo good! It is really good isn't it, my favourite for everyday use!